As Christmas approaches it can be a time of mixed emotions. There’s such a lot of schmaltzy advertising and just about everywhere you look there are images of perfect Christmas scenes. This is not the reality for many people. Over the years I have worked with clients who dread being thrown together with relations they clash with or can just about tolerate. The struggle for these people is to honour themselves without becoming too accommodating and acquiescent in the process. So how do you stay ‘real’ and authentic at Christmas? For some clients I suggest they consider Christmas in July! 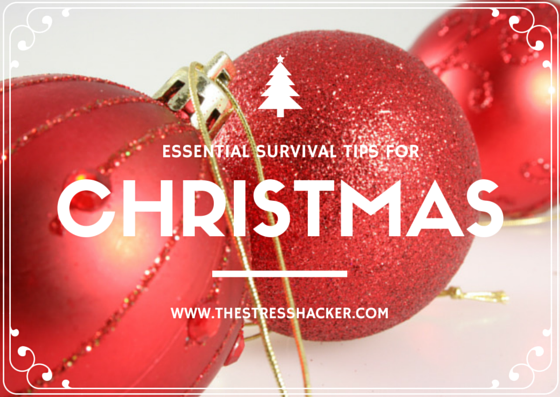 I know that sounds ridiculous, but for people with a tendency to anxiety the thought of being assertive, with Christmas just weeks away, is too much for them. I urge them to think ahead of time. How do you want to feel, who do you really want to spend Christmas with? Naturally we can’t always have our own way and compromise is needed, but at least start from a position of knowing your truth. Consider what you honestly want your Christmas to be like, before you become too compliant. This is also a good time to brush up on assertive skills. It will give you some time to slip away and be with yourself, as well as the many benefits that meditation brings. Can you listen actively ie: with an open heart, without a need to fix it or judge? Decide where your boundaries are before the festivities begin. If you drink alcohol monitor your intake. Aim to be kind both to yourself and others. PS. I’m always happy to write on topics of particular interest to you, so feel free to email feedback or leave me a comment and I will do my best to come up with something inspired! I’ve created a special Stress-Free Christmas audio for you to listen to. Stay calm this Christmas! Click to listen. Previous post: Which Style of Meditation is Right for You? Take your pick!